As well as doing Solitary work, I am also a member of an Eclectic Wiccan circle though I should say Eclectic Pagan Circle. In this circle there are quite a few beloved members that cannot stand incense and even get sick from it. I have been trying to figure out awhile how I could incorporate plants and smells without using incense. I was just searching through Tumblr, with no real purpose in mind, and saw this picture and thought “Finally! I have found the cure!” This would be the perfect way to incorporate the scents of plants into a ritual without using incense. The plants themselves emit smells and putting them so close to a warm and unscented candle would also heightened the scent some too. It wouldn’t be as potent as incense but sometimes thats good. If you use incense to symbolize air then you can still do this with said method. The way the scent carries on the air in the room or on the breeze outside would be a perfect symbol for air. Heck, if you put the candle holder in a large flat dish of water then you would have all four elements represented. 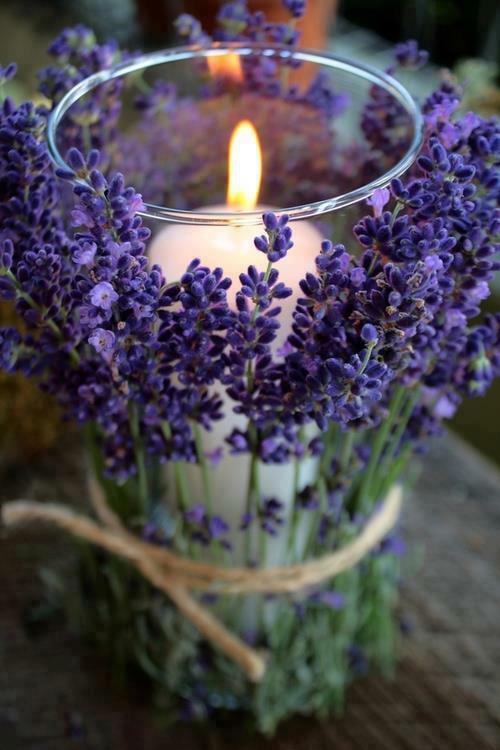 So, tying the actual plant you want to use, for their scent/smell in your ritual, around a candle holder with a lit unscented candle in/on it is a terrific way of replacing incense. Hope this might help! This entry was posted in Roses (Plant Category) and tagged b-ek, Incense, Plants, Replacing Incense, Roses (Plants Category), What to do when someone is allergic to incense, Wicca. Bookmark the permalink.